If you are an investment client of Financial Planning Associates, Inc., your preliminary 4th quarter reports have been posted in your secure web portal. In 2017 our clients’ investments increased in value by an aggregate average amount of +13.55%. The average increase in the 4th quarter was +3.10%. Final reports will replace the preliminary reports after December inflation information becomes available. Note: The calculation used to determine our clients’ aggregate returns is called the internal rate of return. It is cash flow specific, and is net of all fees and expenses. It represents the average return experienced by our investment clients, from the most conservative to the least conservative who were invested during any portion of the period. Typically, our younger clients experience returns greater than the aggregate, while our most conservative investors experience results that are lower. Investment return information is provided by Morningstar using GIPS standards. And a few thoughts about investing as we begin a new calendar year. We’ve just experienced several years of growth among US stocks. So, would it be a good idea to assume that this trend will continue? Perhaps buy some more stocks? Or, will it be a good idea to assume that it will end soon, and therefore now sell stocks? For an answer to this question we share a truth stated by a wise philosopher, Yogi Berra: “Predictions are hard, especially about the future.” Couldn’t have said it better myself. Of course, many investors are unfamiliar with Yogi’s truth and therefore attempt to employ the investment philosophy recommended by Will Rodgers: “Buy a good stock and hold it till it goes up, then sell it. If it don’t go up, don’t buy it.” Those who adhere to Will’s idea might experience results like the one illustrated by the graphic below. The lime green line in this image shows the change in value of a stock mutual fund during a recent 10-year period. The period includes the bear market that began in 2007, and the bull market that followed beginning in 2009. 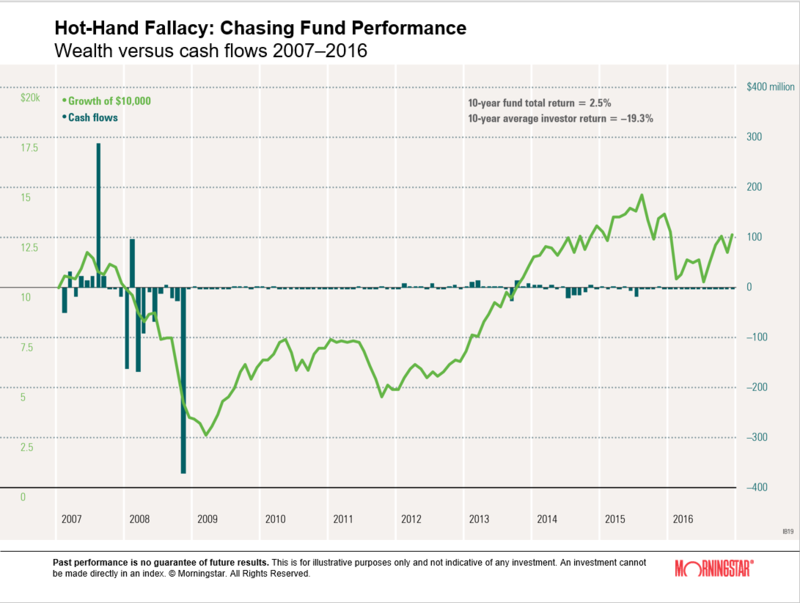 The dark green bars represent investor cash flows into and out of the fund. It is apparent that the investors’ timing is less than perfect. In fact, although the fund experienced a total return during the period of +2.5%, the average investor experienced a 19% loss. Those of us who believe that predictions – especially about the future – are hard, believe that buying and holding a broadly diversified portfolio increases the likelihood that we will have investment success. Take a look at the image below. 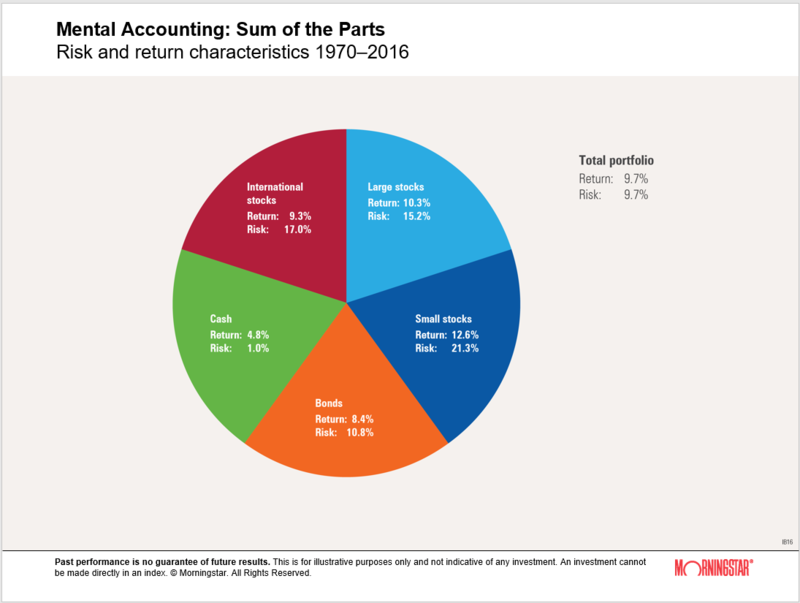 This picture shows the return and risk characteristics of several investment types during the period 1970 through 2016. The investor who held 20% of his portfolio in each of the 5 categories had an annualized return during the period of +9.7%, with a monthly annualized standard deviation of 9.7%. 2, The best choice would be 100% in the small stock category. I would ask that investor to again note that the future may not look like the past, and to review the 1st graphic above. In addition to the recency bias investors tend to be overconfident with regard to their ability to make the best choices. We assume that we know better than other investors, and that we are not susceptible to thinking errors. Successful investing is not simple, and there is much more that could be said about these examples. But for now, I will just observe that the diversified portfolio has a return that is greater than 3 of the 5 categories with less risk than 4 of the 5 categories! As a reward for reading to this point, now enjoy some pilot humor. 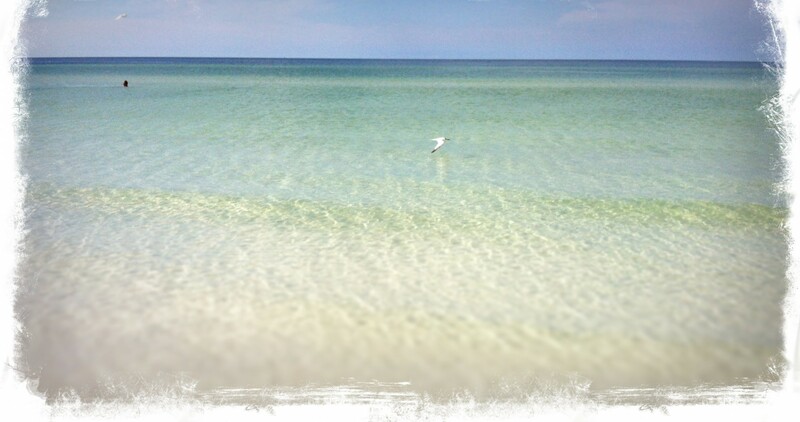 My treat. Pilot: I’m pretty sure we don’t have fuel for that. Tower: Airliner X, it looks like you have a baggage door open. Airliner: Thank you for the report, but that must be our APU door that’s open for cooling. Tower: Airliner X, you have luggage falling out of your APU door. Tower: Delta 351, you have traffic at 10 o’clock, 6 miles! A DC-10 had come in a little hot and thus had an exceedingly long roll out after touching down. San Jose Tower noted: American 751, make a hard right turn at the end of the runway, if you are able. If you are not able, take the Guadalupe exit off Highway 101, make a right at the lights and return to the airport. Allegedly the German air controllers at Frankfurt Airport are renowned as a short-tempered lot. They, it is alleged, not only expect one to know one’s gate parking location, but how to get there without any assistance from them. So it was with some amusement that we (a Pan Am 747) listened to the following exchange between Frankfurt ground control and a British Airways 747, call sign Speedbird 206. Ground: “Speedbird 206. Taxi to gate Alpha One-Seven.” The BA 747 pulled onto the main taxiway and slowed to a stop. ← Now Women, That’s A Whole ‘Nuther Thang!